Alcatel Pixi 3 (4) is a member of the budget-friendly Alcatel OneTouch Pixi 3 range that allows users freedom of operating system. The optional dual-SIM smartphone offers a very affordable means to having access to 4G connectivity, while also offering personalisation options. This budget smartphone sports a 4-inch TFT capacitive touchscreen display with gesture. The screen of the Alcatel Pixi 3 (4) has a resolution of 800 x 480 pixels – not exactly out of this world. Screen density is put at 233 pixels per inch. For your photo-taking needs, Alcatel OneTouch Pixi 3 (4) offers a 5 megapixels rear camera. The snapper has autofocus, HDR and Touch Focus features, amongst others, as well as HD (720p) video recording capability. You may not want to depend on this one if you are a selfie addict, given the front-facing camera is just VGA. The Alcatel Pixi 3 (4) is powered by a dual-core or quad-core MediaTek or Qualcomm processor capable of delivering speeds up to 1.1GHz – chip variant depends on whether you are going for the 3G or 4G model. The RAM of 512MB provided might leave much to be desired for some users. It packs a battery that has a standby time of around 450 hours, according to its manufacturer. Alcatel OneTouch exhibited a bit of consumer consciousness in terms of the operating systems for its Pixi 3 range of devices. The Pixi 3 (4) can run on any of Android, Windows or Firefox platform. 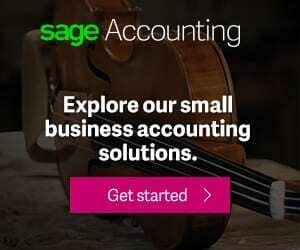 What this means is that buyers will be able to get a unit running on an operating system that they are very familiar or comfortable with. For those users opting for Android, Alcatel Pixi 3 (4) will run on Android 4.4 KitKat out of the box, with this being upgradeable to Android 5.0 Lollipop. Alcatel OneTouch Pixi 3 (4) will come with an integrated storage memory of 4GB, extendable up to 32GB using a microSD card. Connectivity options include Bluetooth 4.0 with A2DP, high-speed microUSB 2.0, 3G, 4G and Wi-Fi 802.11 b/g/n with Wi-Fi Direct and tethering. You can add a personal touch to the phone with changeable covers in vibrant and elegant colours. Alcatel OneTouch Pixi 3 (4) is not available in Nigeria. Alcatel does not currently offer phones in Nigeria so the availability of this phone in the country is in doubt. 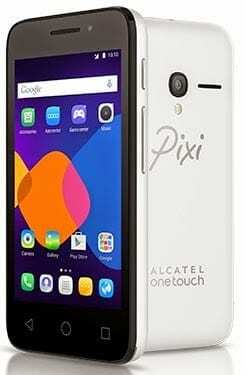 If and when available, Alcatel OneTouch Pixi 3 (4.5) Price in Nigeria is expected at around N20,000.